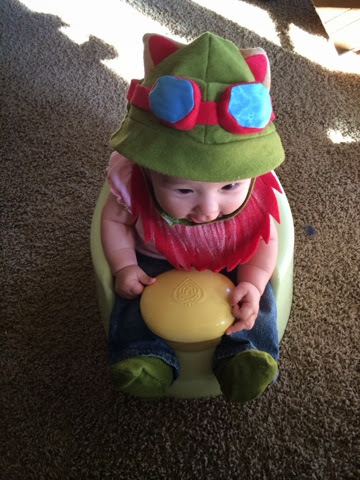 I made this costume for my daughter for Halloween. 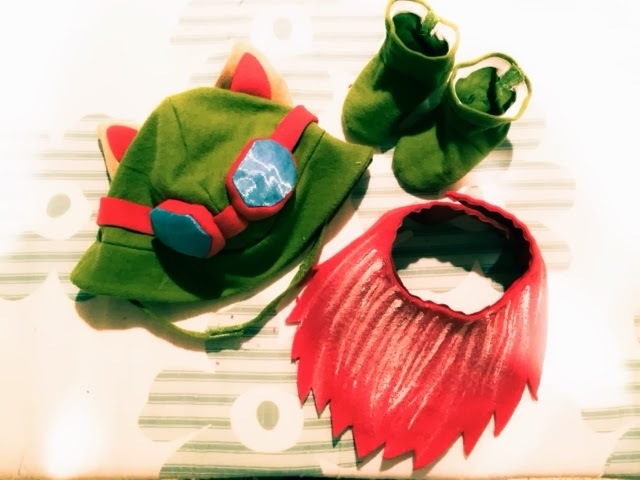 Babies need comfortable costumes so I translated Teemo's outfit into just a simple hat, beard, and booties. 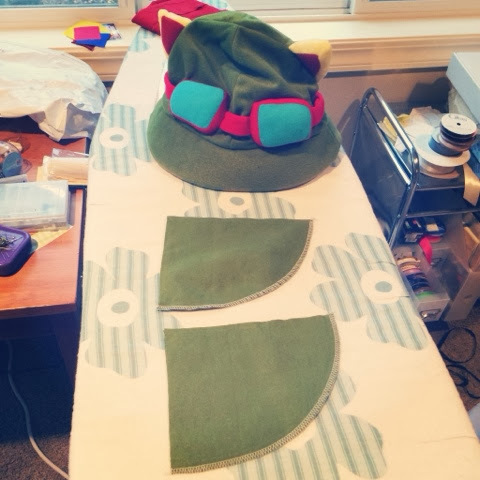 For the hat I had an adult version I bought from Riot, so I used it as a visual guide to make a baby version out of fleece and flannel. 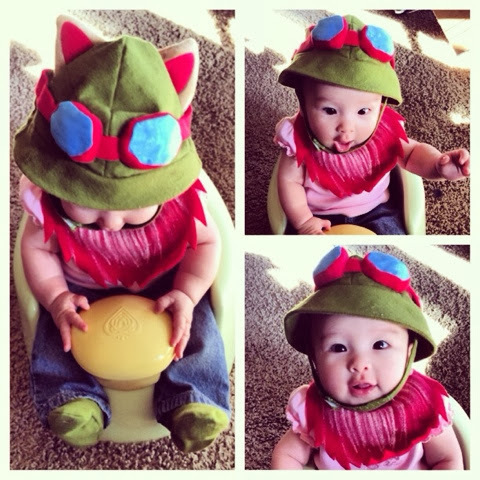 I added a Velcro chin strap to the hat because babies need one to keep their hat on. 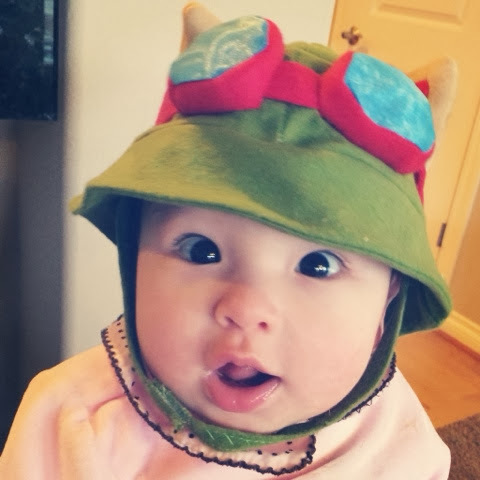 Here she is with her hat! 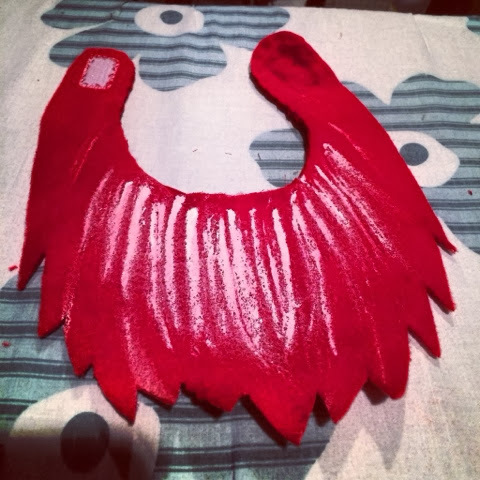 For the chin beard fur thing I made a bib! 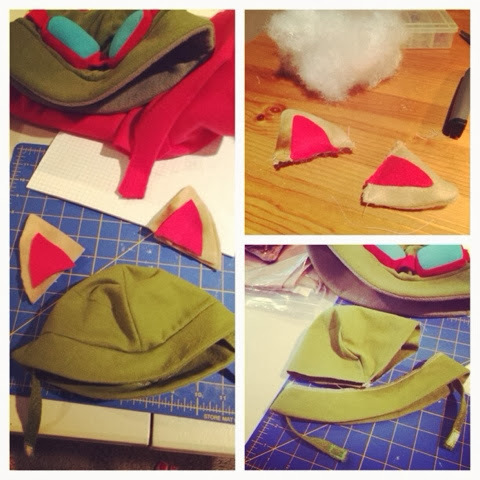 Here are the finished costume pieces! Click here for my post on making the baby booties. Beautiful little girl! Congratulations. Good to read you back on the blog. Very cute costume. Thanks Kate! :) Been busy with the baby, haha.